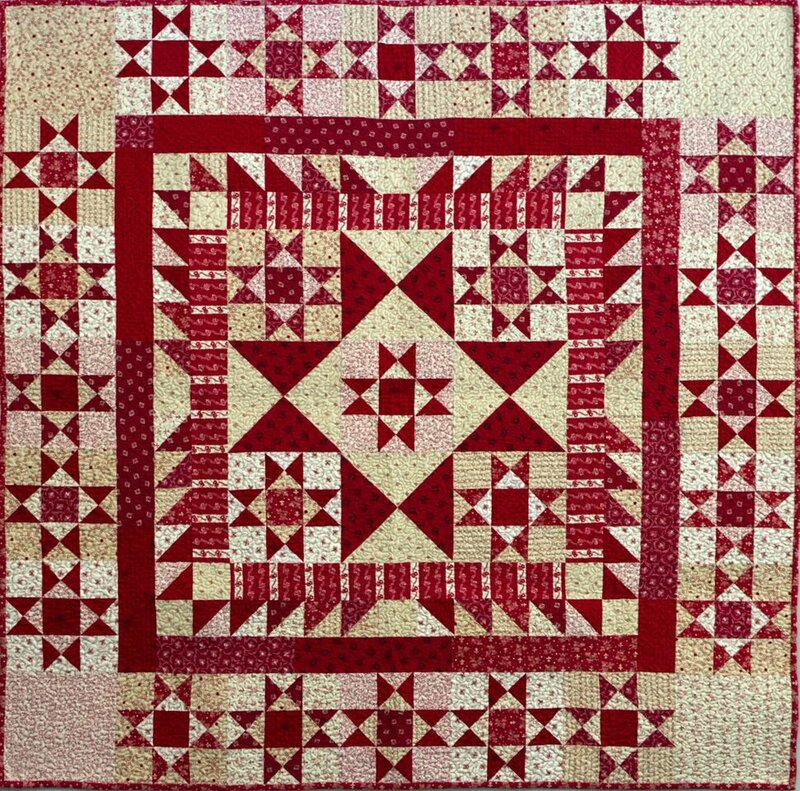 Patterns > Heritage Stars 42" x 42"
Heritage Stars is a quick and easy wall quilt (42" x 42"). Made with Paula's Heritage Reds from Marcus Fabrics. Uses only 13 fat quarters!